Hell is Other Demons has received a release date on Switch. The lightning-fast bullet hell platformer will launch on April 18, an eShop listing confirms. This arcade shooter is driven by quick, creative gameplay that rewards fast decision making and faster reflexes. Jump into the hooves of a demon out to kill a bunch of other demons as you progress through an extensive campaign and dominate wonderfully over-the-top bosses. Accumulate an arsenal of powerful weapons and upgrades as you take on varied and brutal challenges. Fans of classic, high-score based arcade games will find a cozy home in Arcade Mode, which offers unlimited, procedurally generated action and infinite replayability. Nothing is stopping you from topping your high score except thousands of bloodthirsty demons. 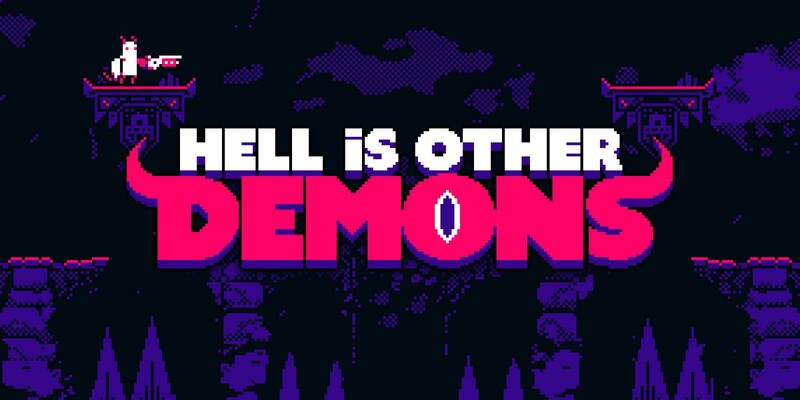 Hell is Other Demons’ bold colors and chunky pixels are backed up by a heavy synthwave soundtrack composed by Rémi Gallego, of The Algorithm, and retro sound effects by Magnus Pålsson. Hell is Other Demons will cost $9.99 on the Switch eShop.